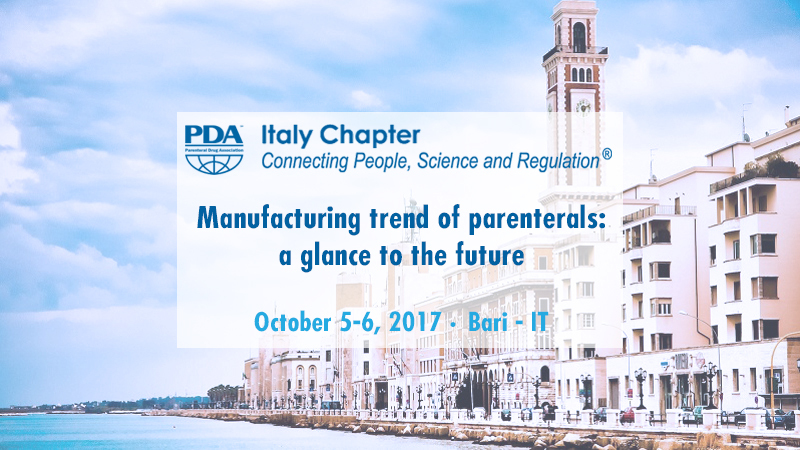 Comecer will be present at PDA Italy Chapter congress on future of parenterals that will be held at “Hotel dei Principi” in Bari on 5th and 6th of October 2017. You will find our Area Manager Simone Penazzi. The Parenteral Drug Association (PDA) is the leading global provider of science, technology and regulatory information and education for the pharmaceutical and biopharmaceutical community. Founded in 1946 as a nonprofit organization, PDA is committed to developing scientifically sound, practical technical information and resources to advance science and regulation through the expertise of its more than 11,000 members worldwide.